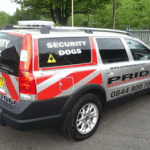 Pride GB is your local 24-hour security services company in Wolverhampton. We provide security dog services, static security, mobile security, keyholding, and alarm response services to keep storage areas, industrial estates, retail parks, construction sites, and factories secure. 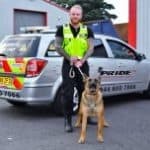 Pride GB is one of the only K9 security companies that is qualified to use trained security dogs. 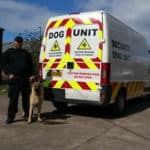 Our highly trained NASDU approved dogs and their handlers are an extraordinarily effective deterrent against intruders and always deliver a professional, high-quality service. Pride GB’s static security officers are committed, dependable, and always prepared. They strive to exceed expectation and provide the highest standards of work. There is no better way to safeguard your premises than to employ our formidable security guards. Pride GB’s mobile patrol service is an effective solution for those who do not need constant static security but security guards tailored to their own schedule. Our uniformed security officer can patrol your premises when required to provide an effective deterrent against thieves. Contact Pride GB today to inquire about our security services and find out more about how you can keep your premises safe and secure.